Vanilla is currently rivaling the value of silver, per unit weight. Madagascar, which supplies 80 per cent of the world’s natural vanilla, is in the grip of a vanilla boom. “People are saying, ‘I don’t care about growing food to feed myself. I only want to grow vanilla’,” says Eugenia Lopez, an agricultural expert with Swiss development agency Helvetas. Girls are dropping out of school to marry “vanilla barons”, and sales of televisions, alcohol and other luxuries are high. “People are buying cars and motorbikes that they won’t even be able to fill with petrol when the price of vanilla crashes,” says Ms Lopez. Not all the value is trickling to farmers. And the sector remains highly volatile, but with minimal options for smoothing consumption among affected farmers. While the likes of Coca-Cola, Unilever, the British-Dutch consumer goods group, or Danone, the French food company, are forced to pay inflated prices, farmers receive only 5 to 10 per cent of the value of their crop [!!!! ], according to industry observers.Worse, they say, if farmers switch to lucrative vanilla and abandon food crops such as rice and manioc, they could be left in desperate straits when the vanilla market crashes, as it inevitably will. Vanilla has been through violent booms and busts before. Only five years ago, it was trading at $20 a kilogramme against some $515 now, down from a recent peak of $600 and compared to a silver price of $528/kg. Meanwhile, Madagascar is in the midsts of a political crisis ahead of elections scheduled later this year. … a dispute over electoral minutiae had spiralled into a full-blown political crisis. A month on, the situation seems intractable. The original rally centred on some controversial laws that would have made certain opposition candidates ineligible for elections scheduled for November. Most notably, the changes would have barred both Marc Ravalomanana, president from 2002 until he was removed in a coup in 2009, and Andry Rajoelina, the coup leader who took over as president until 2013, from running. ….. On 3 May, the High Constitutional Court (HCC) rejected a number of clauses in the new laws as unconstitutional. This included those provisions that would have prevented Ravalomanana and Rajoelina from running. According to Malagasy law, the next step should have been for the executive to send the legislation back to parliament for review. But instead, the president unilaterally amended the laws and published them on 11 May. The military has threatened to intervene, again, if the politicians fail to resolve their differences. It is no secret that if standards of living are to improve on the Continent the rate of economic growth must outstrip that of the population. Sadly, Africa’s demographic transition continues to be a dream deferred. High (gendered) illiteracy rates, ignorance about (and church opposition to) contraceptives, antiquated cultural practices, among other things continue to reproduce all over the Continent crazy scenarios such as this in Madagascar: A 27-YEAR OLD WOMAN WHO HAS NINE CHILDREN AND FOUR MONTHS PREGNANT. This is insanity. Quoting Donasine (said mother): “We are farmers, but without rain we were not able to grow anything. Every year I have another baby, and I am worried – I don’t have anything to feed them.” Add to this not being able to educate them or provide them with proper healthcare and you’ll see the utter abomination that is the continued anti-contraceptive movement in segments of African society. I am not saying that the Continent is over-populated. Far from it. China supports way more people with less arable land. What I am saying is that we are not in 10,000BC and therefore people should plan their lives better, and that it is the duty of government, the church and other relevant social institutions to ensure that people are aware of the alternatives they have. It is about time we stopped hiding behind culture and God and what not and see things for what they really are. Women like Donasine do not have ten children because they choose to do so. They are forced to do so by circumstances beyond their control. For more on this check out Kristof at the Times. Togo, a tiny West African country of 6.6 million, goes to the polls today. Faure Gnassingbe, President of Togo and son of the late strongman Gnassingbe Eyadema, is hoping to be re-elected for a second term. His father ruled the country uninterrupted between 1967 until his death in 2005. The younger Gnassingbe was then installed by the military as interim president before elections were held. Most observers believe that these elections were not free and fair. Many hope that this time round things will be different.Yeah right. African democracy’s teething problems will not go away just yet. 2010’s busy elections schedule will surely bring some of these problems to the fore. The top four to watch include the elections in Rwanda, Ethiopia, Madagascar and Ivory Coast. Paul Kagame will most certainly win in Rwanda, but the question is how much room he will give the opposition this time round. Mr.Kagame has been president since his forces ended the Rwanda genocide in 1994 and has been touted to be among the more economically liberal strongmen on the Continent (he is no Tutu but he is good for business). In Ethiopia Meles Zenawi’s party, Ethiopian People’s Revolutionary Democratic Front (EPRDP), is also expected to win. Mr. Zenawi has been in power since he deposed the tin pot despot Mengistu Haile Mariam in 1991. Here too it remains unclear just how much opposition Mr. Zenawi will tolerate in parliament. Madagascar, as you may remember had a coup in March of last year. It will be interesting to see who emerges as winner in this election. The contest is between the factions led by former DJ and mayor of Antananarivo Andry Rajoelina and the man he kicked out of office Marc Ravalomanana.The political instability in this island country off the east coast of the Continent has not gone without economic consequences. Ivory Coast, once a paragon of stability in West Africa, is also holding elections this year. This year’s polls were originally planned to be held in 2005 before a bloody civil war that divided the country in half got in the way. The land of Houphouet-Boigny has not known peace and stability since the strongman’s passing in 1993. Mr. Houphouet-Boigny was president between 1963 until his death in 1993. Among his accomplishments was the relocation of the capital of Ivory Coast to Yamoussoukro, his home town, and the construction there of the US $ 300 million Basilica of Our Lady of Peace (which the Guinness Books of records lists as the largest church in the world). madagascar coup: when will this end? The BBC is reporting that the army in Madagascar seems to have heeded the opposition leader’s calls to arrest president Marc Ravalomanana. The former mayor of Antananrivo, Andry Rajoelina, has since the end of January declared his opposition to the presidency of Mr. Ravalomanana and vowed to oust him before the latter’s second term expires in 2011. The former mayor accuses the president of misspending tax payers’ money. It looks like Mr. Ravalomanana’s days as president are numbered, especially after the self-declared head of the army, one colonel Andre Ndriarijaona, declared his support for the former mayor. The events in Madagascar are yet another remainder that may be we should not take it for granted that democracy is the best form of government – especially for young, impoverished nations like Madagascar. Since the Rajoelina-led protests began in late January the capital Antananarivo has seen looting and running battles between police and protesters. A few dozen people have died. This has obviously impacted the economy negatively. And for a country where 70% of the people live on less than $ 2 a day that is very bad news. If this coup succeeds it will be the fourth successful coup on the Continent in the last one year. The other three have been in Mauritania, Guinea and Guinea-Bissau. It’s like we are reliving the late 60s or early 90s all over again. When will people realise that this moving around in circles will not take the Continent, and its people, anywhere? 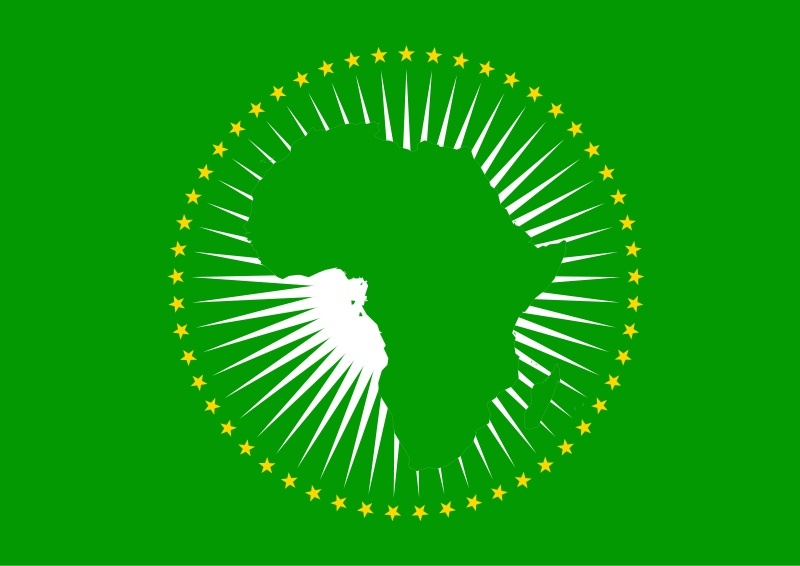 Meanwhile, the African Union on Monday issued a statement supporting the incumbent Mr. Ravalomanana, without any mention of the president’s ineffectual leadership or the grievances of the opposition. For the AU, the incumbent is always right. No surprises there. The head of the AU, if you may recall, is one Muamar Gaddafi. It is essentially a club of kleptocratic little men who parade as gods. There is a lot of expensive childish behaviour going on in Madagascar. And no, I am not talking about the 2005 animated production by dreamworks. I am talking about the ongoing standoff between former mayor of Antananarivo, Mr. Andry Rajoelina and the president, Mr. Marc Ravalomanana. A few days ago the former mayor, who heads two communication firms, including a TV station, claimed to be in charge of the country – a treasonous act if you ask me. Reacting to this the president ordered the closing of his radio station. Mr. Rajoelina later ordered his supporters to storm the presidential palace, an act that resulted in the death of some 25 people. It is unclear what the former mayor really wants. He is not eligible to be president on account of his age (He is 34 and must be 40 to be eligible to run in the 2011 elections). Although Mr. Marc Ravalomanana’s government is no efficiency machine, causing chaos and uncertainty in the manner that Mr. Rajoelina is doing will cause more harm than good. President Ravalomanana was elected in 2006 and should be allowed to serve his full term. If the former mayor wants him out of office he should use legal means. Using the poor people of Antananarivo as pawns in his attempt to grab power is a most heinous crime. More than 25 lives have been lost. How many more people does he want to die before he sees the folly of his actions? There has to be a better way of doing this. Also, president Ravalomanana should wake up and smell the coffee. It is time he stopped the corruption in his government that precipitated the cancellation of much needed development assistance in December of last year (2008). The president should step up his government’s efforts to improve the lives of the people of Madagascar instead of just enriching himself. Otherwise trouble makers like Rajoelina will have every excuse (and every right) to send their supporters to the streets in order to disrupt constitutional order.